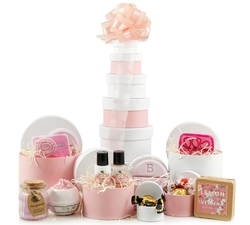 Our unique Gift Towers are stunningly presented, designed exclusively by Hampergifts and are guarantee to Wow the lucky recipient. 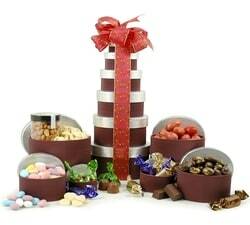 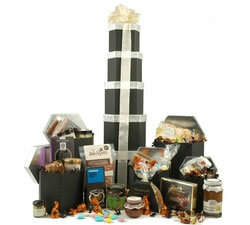 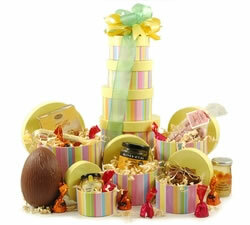 Order your loved one a Gift Tower today - show them how high love goes! 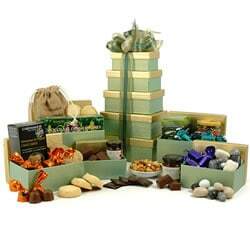 Starships were meant to fly...but close behind them are our stunning gift towers. 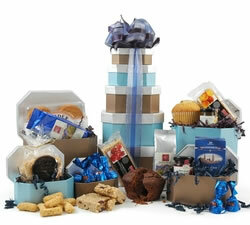 Stacked sky high and packed chock-full of tasty treats and gourmet food. 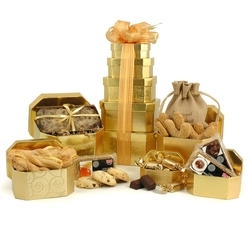 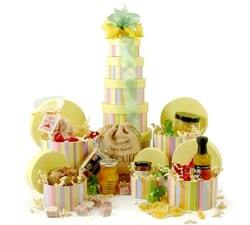 Our gift towers are guaranteed to WOW the lucky recipient. 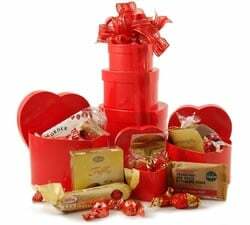 Choose from our bestselling Golden Tower - crammed with sweet treats or our Tea & Coffee Break Tower - perfect for a quiet moment with your loved ones. 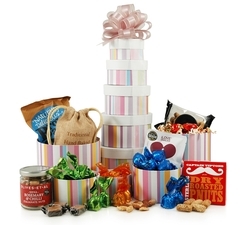 If maximum height is more your thing, then why not look at The Eye Full Tower standing at a whopping 73cm in height and containing 22 fantastic items to indulge in. 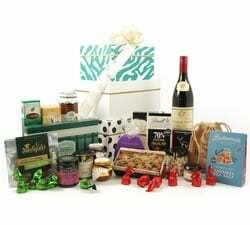 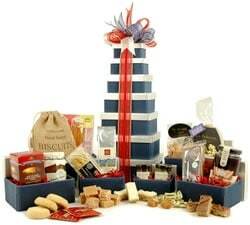 All of our towers are made up of beautiful re-usable gift boxes, designed exclusively for Hampergifts. 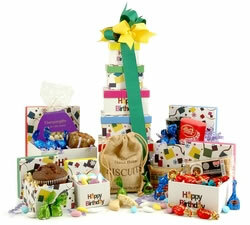 Each tower is put together by hand, stunningly presented and hand-tied with a flourish of coloured ribbon. 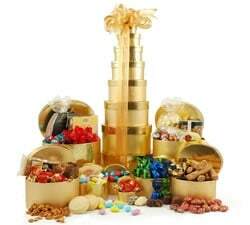 Dare to reach the top?